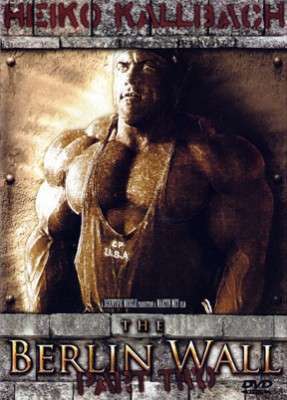 The second DVD in the series on bodybuilding’s mass monster Heiko Kallbach. You will see extreme condition, brutal mass and high intensity training. At a bodyweight of 286 pounds IFBB professional Heiko Kallbach is showing his 5 day workout between two competitions. The video was shot in March 2005, 1 week after the Iron Man Pro in the famous World Gym Venice, California. Heiko is the German Dorian Yates!! The second DVD in the series on bodybuilding’s mass monster Heiko Kallbach. You will see extreme condition, brutal mass and high intensity training. At a bodyweight of 286 pounds IFBB professional Heiko Kallbach is showing his 5 day workout between two competitions. The video was shot in March 2005, 1 week after the Iron Man Pro in the famous World Gym Venice, California. His routine is chest, back, shoulders, arms, legs. Heiko is one of the most massive pros in today’s bodybuilding scene. You must see this guy in action!! He is the German version of Dorian Yates!! !